My rabbit has six small flaky spot on back of one ear and two on the back of other ear. 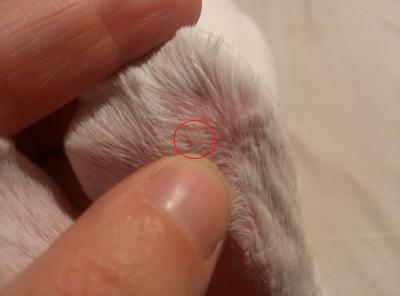 The spots are between 2 millimeter to 0.5 millimeter, a little itchy and on the spots a little fur loss.what kind of mite it is? Did you ever find out if this was a mite?